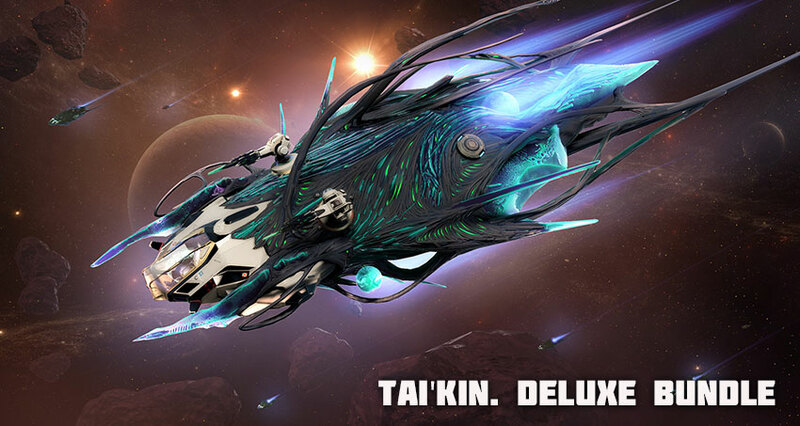 The special configuration of the Ellydium recon interceptor Tai'Kin with a fully upgraded development tree and all unlocked nodes. Special bonus for everyone who buys the bundle — Premium license for 90 days! The ship Tai'Kin has absorbed all the latest achievements of “Ellydium” science laboratories that reached great heights in the development of Alien tech. The ship turned out incredibly fast and manoeuvrable. The development of the ship and its active modules was carried out by Dr Matthew Gilmore, the head of the mysterious and carefully protected Scientific Complex No. 2 of the Ellydium Theta station. And Conrad Dimeni personally oversaw the development. Tai'Kin was the first ship that was able to fully use the unimaginable properties of single bosons to change the space-time.